Scott Bell Fund » Friendly Football Fundraiser! 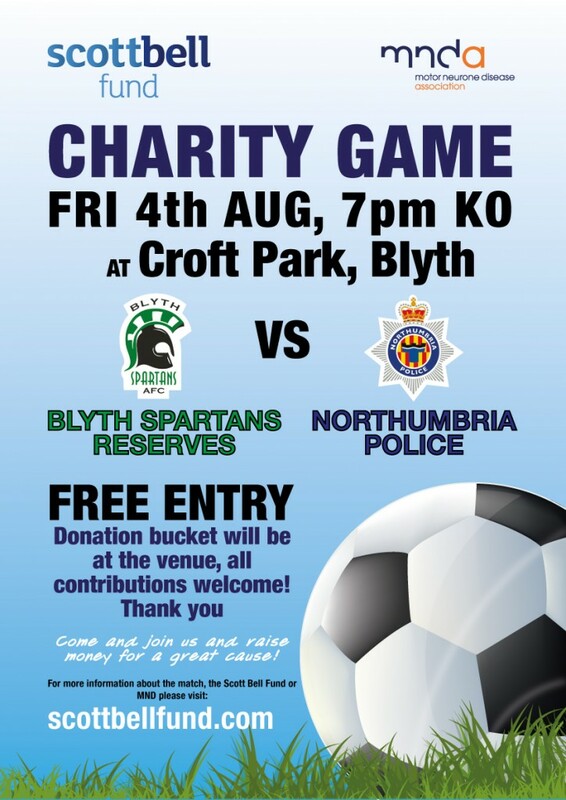 Fundraising football match at Croft Park, Friday 4th August, kick-off at 7pm. FREE ENTRY, donations welcome on the day. Massive thank you to Blyth Spartans for providing the venue (and their continued support) and to both teams for giving us their time (and hopefully a good match!) See you all there.